Last year at FinCon I was lucky enough to meet up with the great folks from Betterment. Some other finance bloggers and I had a good chat with the CEO Jon Stein. He had some interesting insight into where he wanted to take his company and why he thinks his business model has been so successful. We decided to share some of that insight with you with this exclusive interview with Jon. 1. When creating Betterment, what was your primary goal? My primary goal was and still is to thoughtfully apply technology to help investors get a better return on life: that includes a better investment return — net of taxes, transaction costs, and behavior — while saving time, and maintaining liquidity. 2. Some investors like to choose their own ETFs, why doesn’t Betterment offer a way to do that? We’ve done that work for you. It’s more efficient this way, and avoids the temptation to tinker. We believe we have achieved the best possible diversification for our customers. It’s part of the amazing package here. 3. What process do you follow when looking at new ETFs to add to the pool? Our investment committee uses extensive research, years of experience and innovation to pick investments that we believe will have long-term success in the global economy. The committee meets regularly to make sure the portfolio is at optimal performance. When choosing ETFs to add to our portfolio, we balance considerations of low cost and high liquidity. Specifically, we examine expense ratio, bid-ask spread, assets under management, number of holdings, exchange rate hedging, and capital gains implications before moving forward purchasing any of the funds in customers’ portfolios. 4. 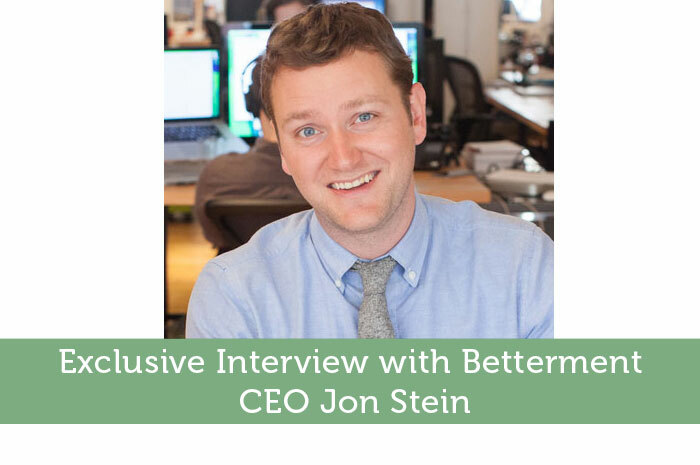 What would you say is the biggest advantage investors that choose Betterment have? Better returns due to a. the way we invest and b. the way the platform is designed. It’s a conservative estimate that the average investor will forgo 1.6% of performance due to what is called the behavior gap — investment returns minus investor returns, caused by irrational and unpredictable investing behavior. For the most active investors, the gap increases to 6.5%. Betterment’s customers, on average, have a behavior gap of only 0.3% per year. Compared with the conservative benchmark of 1.6%, that’s 1.3 additional percentage points of returns a year. We achieve this value for our customer through asset selection. Our portfolio design is intended to prevent investors from choosing individual stocks, or this ETF over another. The Betterment portfolio is carefully targeted, and enables customers to reap the benefits of impartial asset allocation and optimal diversification. We charge no transaction fees. Investors are likely to build wealth, rather than have all the principal they want to deposit to an account in one fell swoop. Making regular deposits is a normal, encouraged way to stay on track with investing. By eliminating transaction fees, Betterment does not penalize customers for sticking to a game plan of regularly adding to their investments. Customers do not feel compelled to gather large lump sums to invest, getting the most bang for the fee. In this way our system discourages market timing. 5. You don’t offer 401(k) options, why is that? It’s something we’re looking into. Offering our services in a 401(k) plan is a sensible idea — we believe Betterment is the next generation of the target date fund, found in the vast majority of employer-sponsored retirement plans. Right now we’re focused on growing what we believe is the most efficient individual investment service. To create a Betterment 401(k) option requires extensive operational and regulatory manpower — our resources are currently dedicated to making Betterment the best product it can be. 6. As the owner of Betterment, what would you say is the biggest area your service lacks in? How do you plan on tackling that issue? Betterment is the ideal investing solution for customers with $10,000 to $10 million dollars to invest. We have no minimums, but in order to unlock the full potential of Betterment’s platform, customers must be invested for the long term. If a customer does not have enough money to invest, and stay invested, then Betterment’s value will not be completely realized for that person. Customers should be in a position to leave their investments doing what they need to do to get the most out of our platform. If a customer has more than $10 million to invest, then perhaps Betterment is not the right place for that individual’s money. We offer no active products, and no illiquid investments such as real estate or private equity. Customers with the net worth and desire to explore these kinds of ventures may do better with a traditional financial advisor. Regardless of net worth, we do believe that a low-cost, diversified portfolio is the best way to achieve investment goals. 7. Betterment is arguably one of the most limited investment platforms out there. How do the limitations make for a better investing experience? It’s arguably the most sophisticated platform out there. We built it this way; not to be limiting, but empowering. We empower our customers with a tool that is created from years of investment research and expertise. Expecting customers to know every piece of information that was used to design Betterment is unreasonable– but this is the information that is going to provide investors with the best possible returns. We don’t limit our customers, rather we give them the tools they need to be successful investors. 8. ETFs are obviously the main focus for Betterment, why is that? ETFs are the most efficient way to invest. They provide the broadest, most cost-effective access to the markets. 9. How do you think the nuclear deal with Iran will change the outcome of investments with Betterment? We don’t speculate about the effects of current events or each move the Fed makes. If you’re investing for long-term goals, market volatility as a result of news is simply noise. 10. What is the biggest piece of advice you would give to a new investor that knows absolutely nothing about the market? Invest like you’ve got decades of experience under your belt — use Betterment. Thanks for the interview. I have been using Betterment for my non-401K investing for a little over a year, and have been very pleased. I like that there is not a fee for every month’s trade. I personally use Betterment too and don’t have a bad word to say about it. It’s simple and that is what I like…investing really is simple and boring. That is how to make money over the long term, just invest on a regular basis. Betterment is the best at this.